I have become an avid user of CBD oils over the last few years to improve my health and wellness and have tried many brands, but cbdMD provides a refreshing look at hemp that I see in no other brand. Continue reading below to find out what makes this brand so special. Hemp grown and processed in the U.S.A.
Another thing that I think makes this is a special brand is the way that they view hemp. Have you ever stopped to think about why hemp is grown? While you might just think it is cultivated for the production of CBD oils, there’s so much more to it than that. At cbdMD, they go into detail on their site on how hemp is a soil remediator. This means that it cleans the soil that it is grown in. On many farms around the world, hemp is grown in-between rotations of crops (then harvested into CBD products) to prepare it for the next round of cultivation. While the end result of this hemp harvest is the production of the CBD oil, the intention is to clean the soil for other agricultural products. It’s a win-win! cbdMD’s hemp is grown in Kentucky as part of the Industrial Hemp Pilot Program permitted by the Kentucky Department of Agriculture. The quality of the CBD oil that you get is very dependent on the quality of the hemp itself, and under the guidelines in Kentucky every crop at this brand is organic and grown under the most optimal conditions. Each seed is hand-selected for quality and cultivated with vermicompost and aquaponics. 2019 Update: Due to the rapid growth of the company, they are also using organically grown hemp from Colorado! In addition the quality of the hemp, the extraction process makes a huge difference. They use a CO2 extraction method at cbdMD, which is the most common process among the best full-spectrum oil producers out there and represents the industry-leading way to get pure oil. While other methods may use solvents to extract the oil, this can leave chemical residue and impurities. With a CO2 extraction, the hemp is cycled through phases of varying pressure and temperature to extract the oil, leaving a pure and potent end-product. The result is a full-spectrum oil that preserves as many of cannabinoids and terpenes as possible for all of the benefits that these compounds can bring the body and mind. You can buy CBD oil tinctures and vape oils. Many brands tend to only sell one or the other or sell one universal oil product that can be used in both ways. They separate the two at cbdMD so you can get the best quality and efficiency out of these two different product types. The CBD vape oils are mixed with a carried fluid (vegetable glycerin) to make for better absorption. Vaping is one of the quickest ways to get the CBD into your bloodstream, as it doesn’t have to be broken down in the stomach like with ingestible forms. This quickens the process so you feel the effects more immediately. You can use vape oils with any vaporizer device for liquids. The CBD oils are taken sublingually, meaning you place a few drops under your tongue. Let the oil rest there for around 30 seconds before swallowing it down. You can also add it to your food or drink, but quicker absorption is experienced by letting it reside under the tongue for about a half a minute. One product that I really like at cbdMD is their new “Companion Box”. This is a product bundle that comes with two bottles of CBD oil – one for you, and one for your pet! 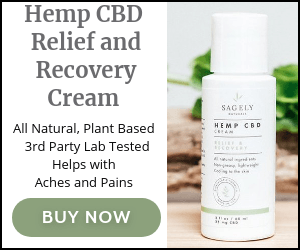 Animals (they sell CBD for dogs, cats, and horses) can benefit from the health and wellness properties of the hemp plant just like us, and I love how cbdMD put this bundle together for the benefit of me and my pets. With each bottle you have your choice of flavor and strength. One thing I want from any CBD brand I try is full transparency on the quality of their product. You get that at cbdMD with lab tests (through the entire extraction and purification process) readily available on their website. These lab tests are conducted by an independent third-party and ensure the purity, potency, and consistency in the product. While lab tests are not an uncommon thing to find at most reputable CBD brands’ sites, they can also be a bit difficult to read and comprehend. One thing I like about cbdMD is that they tell you how to read the results so it is not such an intimidating task. With high-quality products grown under strict guidelines here in the U.S.A., independent lab testing verifying the purity and potency, a variety of product types for you and your pet, free shipping, and a money back guarantee, you can shop at cbdMD with peace of mind that you are getting some of the best CBD oils on the market.